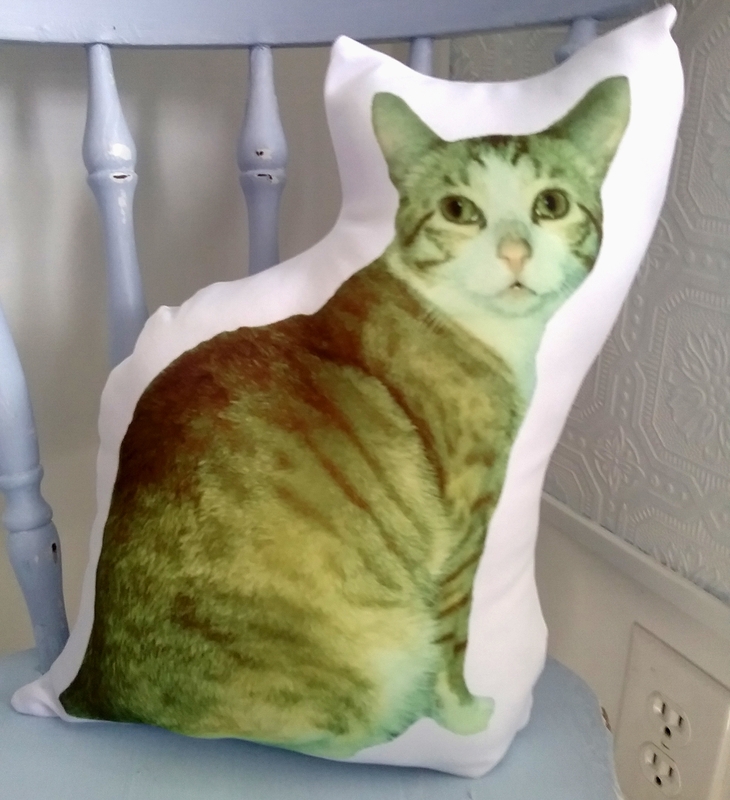 This custom handmade, personalized cat photo gift pillow is made in the USA and is a perfect Christmas, birthday or “welcome” gift for new cat owners. Give a wonderful, one of a kind gift to your favorite cat owner or someone who is missing their beloved kitty. I can create a pillow with any pet image! 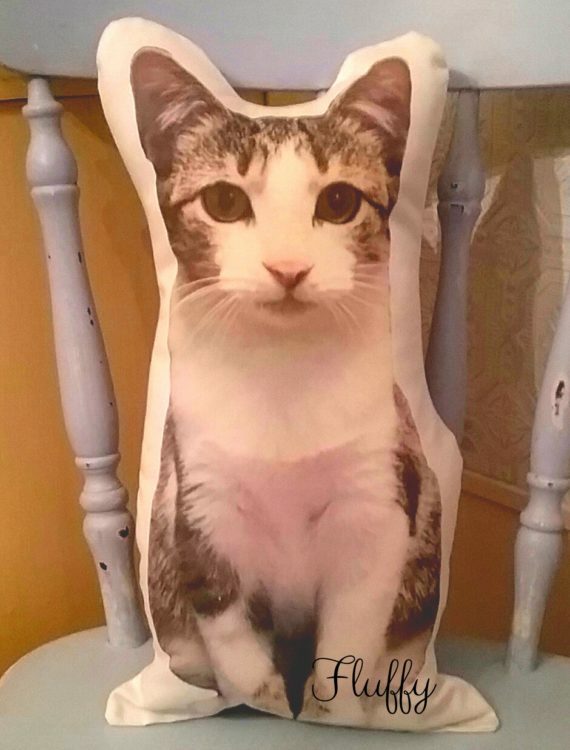 Give the perfect gift to a special cat lover in your life with a custom made cat shaped photo pillow personalized with a photo of your cat! They are perfect for Christmas, birthdays or even new cat owners! 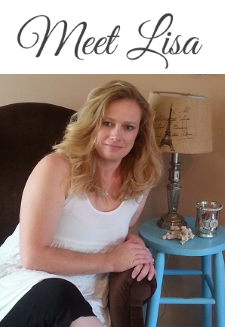 They are custom made in my North Carolina home based studio. 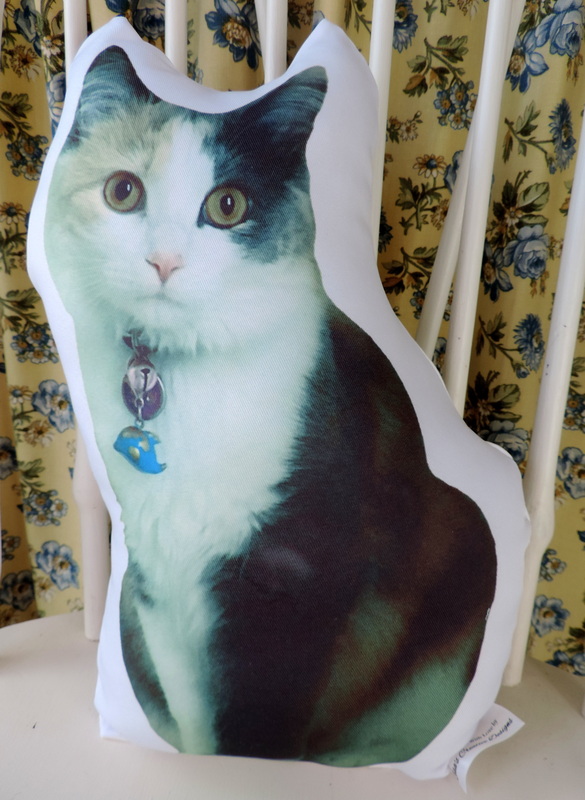 Each personalized cat shaped photo pillow is cut out to the shape of your beloved kitty. 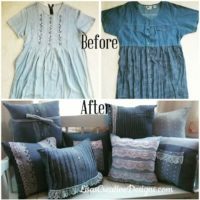 No two pillows are exactly the same and you can be sure this will be a one of a kind gift that will touch their heart! 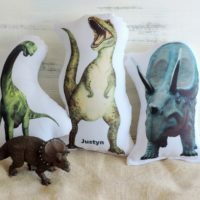 These pillows also make a heart warming bereavement gifts for someone suffering from a pet loss. 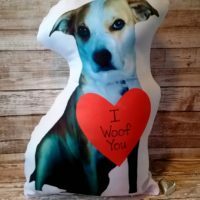 I can create a custom pet photo gift pillow for you with any favorite good quality photo of your dog, cat, fish, turtle, horse or any cherished pet! 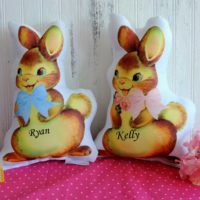 I can even personalize the pillow with the pet’s name as well. Please specify at checkout. Each photo will be edited to remove the background so the focus is on your furry friend. Please send high resolution photos at a minimum of 1500 pixels. Photos of your pet sitting or standing with nothing blocking any part of their body looks best with these pillows. The larger the photo the better. 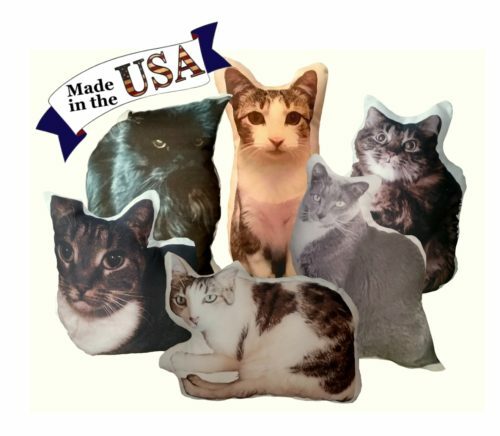 Each cat pillow is custom made to order. Usually ships within a week from order date. If you need it sooner please contact me ahead of time and I can let you know what my workload is like. The exact size of the pillow will depend on the shape of the image. The available sizes reflect the common longest size of each pillow. Fusion Printed with permanent washable ink. 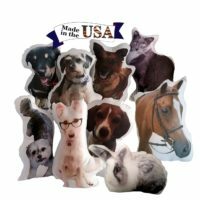 This custom pet photo gift pillow is made from your personal photo right here in the USA. 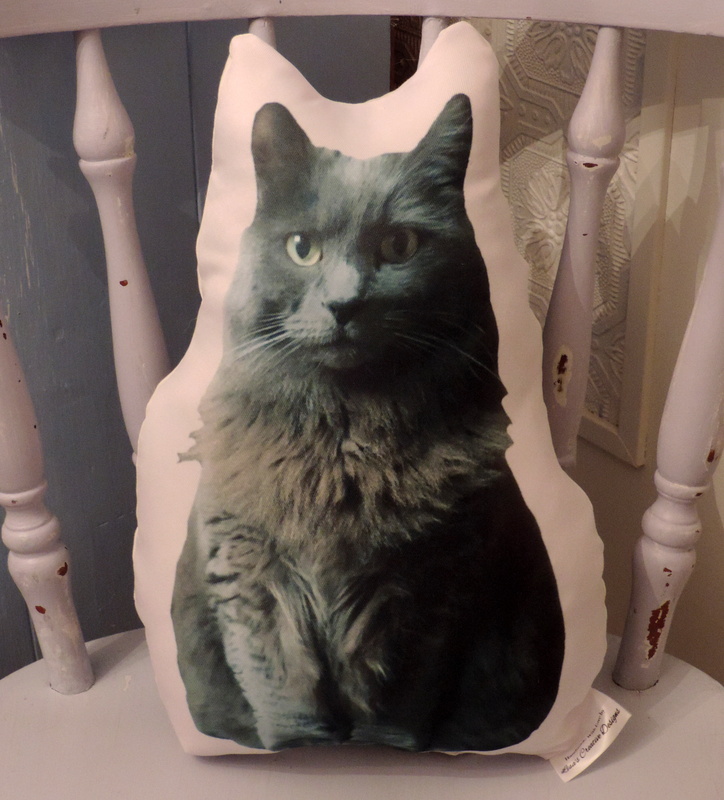 A pet photo pillow make Christmas, birthday or new pet owner gifts. 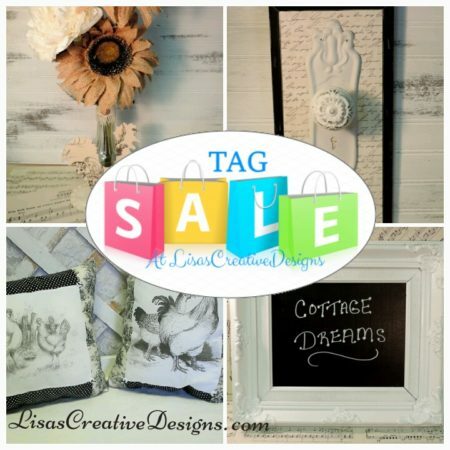 Give a wonderful, one of a kind gift to your favorite dog or cat owner or pet lover. 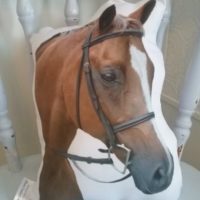 They are also heartwarming pet bereavement gifts that will show you care. 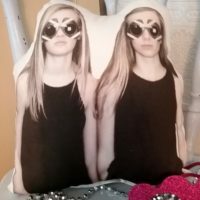 This personalized pet photo gift pillow is made from your personal photo and will make a wonderful Valentine's Day Gift for your sweetheart.